Based on the popular Peavey Composer AG Parlor guitar, the 3/4 scale classical guitar is a great guitar for the beginner. The look of the guitar is striking, not just the standard shape, while still maintaining a classically beautiful shape. The Spruce laminate top and stained maple back and sides have a nice satin finish, and the body includes binding. 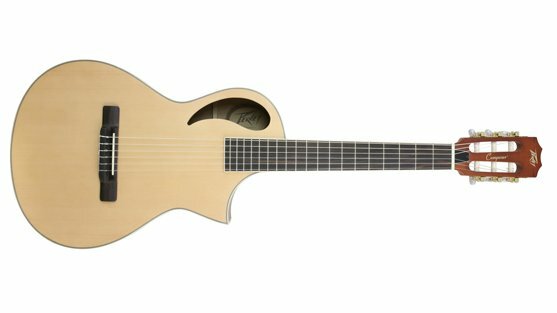 The Peavey Composer 3/4 scale classical guitar is the perfect guitar to start your guitar journey on!